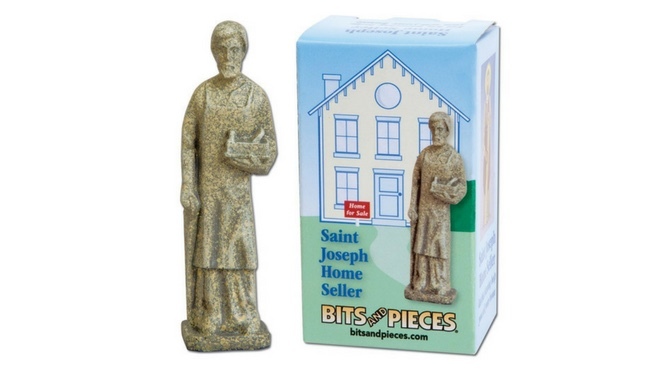 This tool using the statue of St. Joseph for selling a home has been around for years. A Catholic idea, which includes the statue of St Joseph and often times prayer, you or your client don’t have to be Catholic to try it. When I was trying to sell my home many years ago, I tried this (the market is floundering at the time in my area), and I found myself getting three (3) buyers in the six (6) months that it took to sell the house. No, I’m not saying that is what it made it sell, but maybe it helped?! Of course, when I was selling that home I also made sure that I staged it correctly, removed clutter, and was very willing and able to show it at a moments notice. I wanted it sold, and I was willing to do whatever it took to help my agent at the time to make it happen. Yet, maybe St. Joseph helped. These are instructions you should follow on how to prepare to use the statue in your own, or a clients yard, including prayers that you could use. Amazon offers several types of statues, and some are offered at the links below. They vary in price, and I don’t think that there is a one-size fits all, so you take your pick. Most sets do include instructions, and prayers to say, or use this link. Have more ideas for helping to help your colleagues sell more homes? Post them below. Used the statue of St. Joseph before, share your memories for others to learn from! 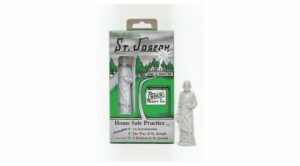 Shop here for an assortment of St Joseph statues, bulk-assortments, or accessories direct from Amazon. Though I may make a small fee on your purchase, know that you still get the same great pricing that you always receive from Amazon by using my link. Thanks in advance for helping me to pay for my website!